Magnificent snow-covered mountains, lush green valley, deep gorges, dense forests, exquisite gardens and pleasant weather-these are few of the characteristics that make Himachal Pradesh one of the most popular tourist destinations of India. The Great Himalayas can be seen in all their glory in the cities of Himachal Pradesh and you will find both aspects of this mighty mountain range-the calm and serene as well as the dangerous and terrifying-in the region. 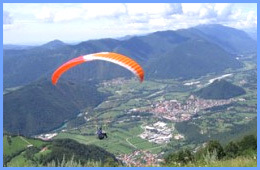 Himachal Pradesh is a paradise for adventure sports enthusiasts and India Profile offers numerous tour packages for Himachal Pradesh from which you can choose the one that best suits your requirements. India Profile offers detailed information on tour itineraries for Himachal Pradesh. We also provide bookings and excellent packages for Himachal Pradesh Tours.